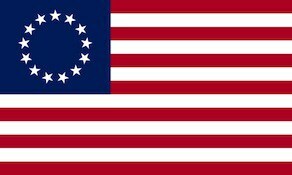 The 8th North Carolina Regiment was raised on 16 September 1776 at Halifax, North Carolina for service with the Continental Army. The unit saw action at the Battle of Brandywine and Battle of Germantown. The regiment was disbanded on 1 June 1778 at Valley Forge, Pennsylvania. At Valley Forge the field officers were Colonel James Armstrong, Lieutenant Colonel Levi Dawson, and Major Pinketham Eaton.